A man driving a Honda SUV at high speeds died today after the vehicle went off U.S. Highway 101 near Stone Lagoon, overturned and hit a tree. His passenger received minor injuries and a dog in the car was unharmed. The name of the man has not been released pending notification of next of kin. Whether alcohol or drugs were a factor in the crash remains under investigation. On 06-07-2018, at approximately 1028 AM, a silver 2004 Honda SUV was traveling northbound on US-101, south of McDonald Creek Rd., at a high rate of speed. For unknown reasons, the vehicle traveled off the west roadway edge, overturned, and collided with a tree. Emergency personnel responded and the driver of the SUV was pronounced deceased at the scene. The passenger, 32 year old Sammy Martin of Belleville, IL, was transported to Mad River Community Hospital with minor injuries. A dog belonging to the passenger was not injured. The Humboldt County Coroner's Office responded and transported the deceased driver from the scene. One of the two southbound lanes of US-101 at this location was temporarily blocked. Identification of the driver is pending notification of next of kin by the Humboldt County Coroner's Office. Alcohol and/or drugs as a factor in this collision remains under investigation. 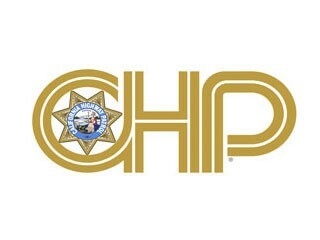 A fatal traffic accident off U.S. Highway 101 south of Stone Lagoon in northern Humboldt sent a vehicle rolling over the embankment, according the California Highway Patrol. Two people and one dog were originally reported to be trapped and possibly injured near mile marker 114. Trinidad and Orick volunteer fire departments were dispatched to the accident. More information will be available later this afternoon, according to a CHP spokesperson. Please remember that information gathered from initial reports is subject to revision as more facts become available.